There are several types of photographs, which will be taken at your wedding. a: The traditional groups, close-ups, long shots, etc. from which you chose the minimum number for which you have contracted and b: the specially requested photographs which you have asked to be taken c: photojournalistic images which are at the discretion of the photographer. The photojournalistic images are very individual and it is best to look closely at what the photographer has done in the past to see if the style is in keeping with what you have in mind. Do remember though that exact replicas of images that you have seen may not be possible as each and every occasion is very different. So now we come to the photographs, which 'may' be taken. We must though draw your attention to that word 'may'? It is impossible to say definitely that a picture will be taken as weddings are so un predictable - guests not being present or 'disappearing' when they are needed or vicars being uncooperative, etc. However, your photographer will be doing his best to take everything that is expected of him or her. 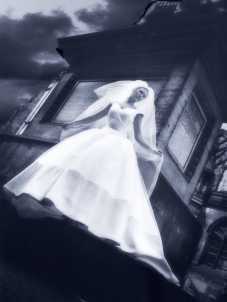 Generally the story begins at the Brides home, so it is best to decide what photographs you want well in advance. Remember that delays can be caused by hair stylists or florists who arrive late, not to mention the bridesmaids and matron of honor! Then, on the morning of your wedding day before your photographer arrives you should look around the room and remove anything, which you would not want to appear in the photographs? As you will realize weddings can be emotional occasions so 'we' have to be carefully avoid upsetting people. So at the pre-wedding chat your photographer will ask you about parents being present and if there is any 'stand-in' for any parent who may not be. However, it is important that you make sure that you tell 'stand-ins' that you have chosen them so that they know this before 'the day'. The photographer will ask you about divorced parents, step parents and if you wish them to be photographed. Wedding etiquette does allow estranged partners not to stand next to each other or even be photographed together.